I had just enough light to see my next step. But sometimes a little light is all you need. Sometimes knowing the next right thing to do is enough. 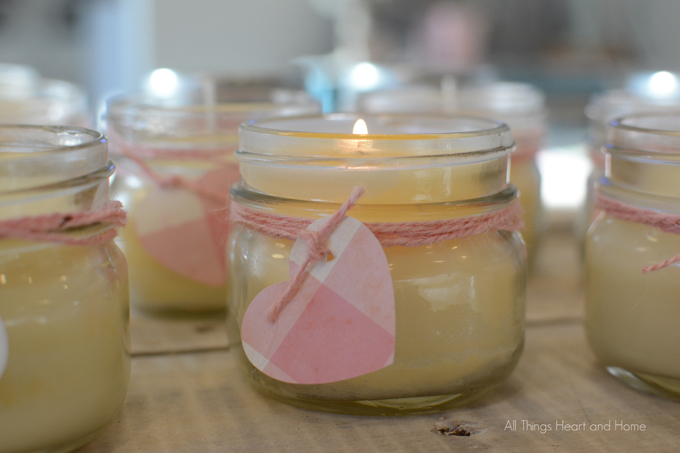 That’s what I was thinking today when I made these little candles, that sometimes a little light is enough. 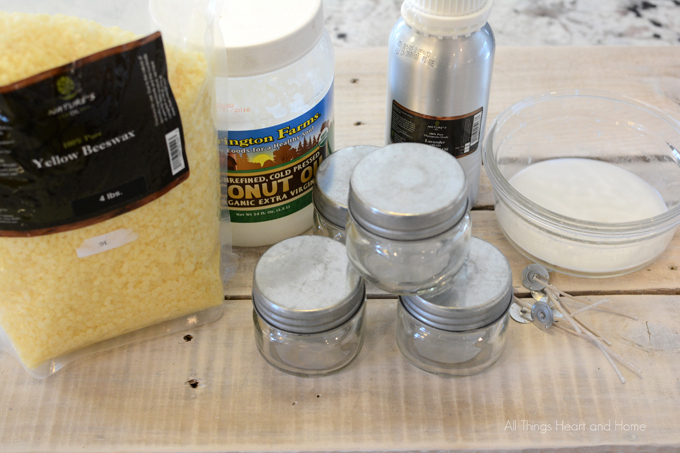 In microwave safe bowl melt Beeswax until almost completely melted-add Coconut oil-and melt completely. 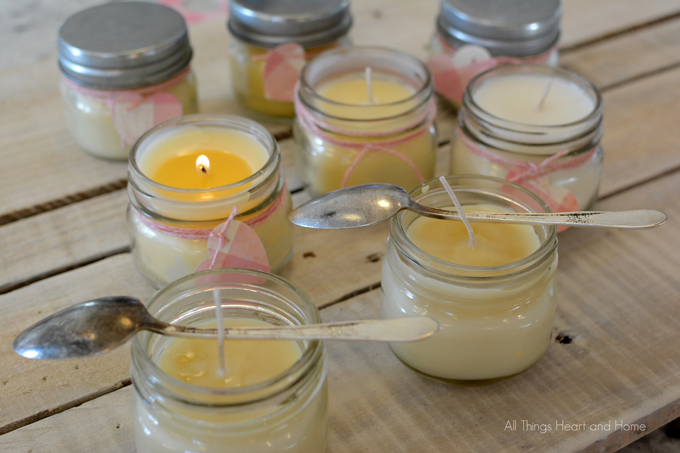 Really, I’m a little bit enamored with this process – the texture of the beeswax pellets the transparent to creamy appearance of the candles as they cool and the aroma…my goodness, that serene fragrance. 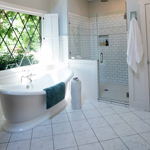 The kitchen smelled like lavender for hours…so wonderful. 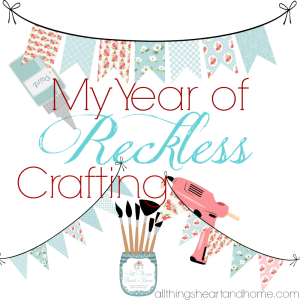 I used BeesWax, candle wicks and essential oil for this edition of My Year of Reckless Crafting! 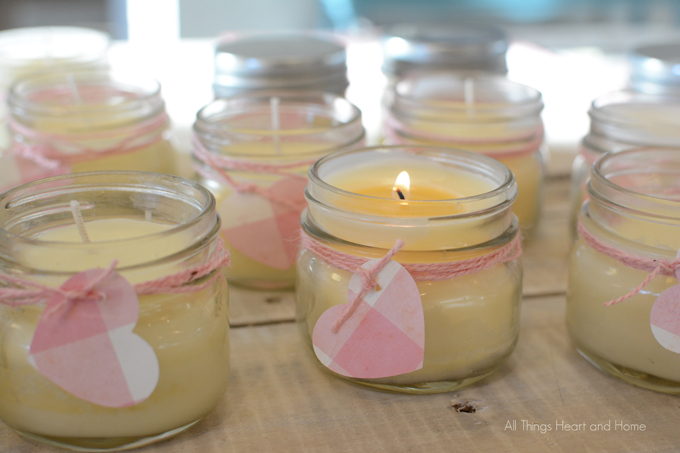 Robin, These little candles are so sweet looking I wanted to make some right away. 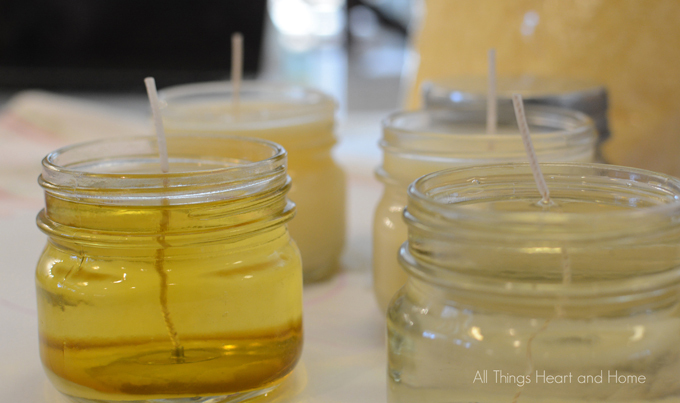 I checked out the beeswax you listed in the recipe; as well as other beeswax products and found that many people were put off by the smell., Did you experience this problem, or is it that after completing the candle the bad fragrance is gone. I love these and I will be giving them a try. 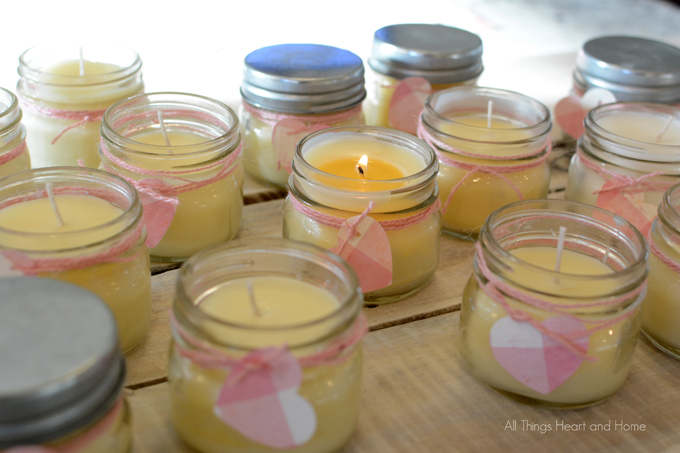 What a wonderful little Valentine gift… to show your love and light to others. 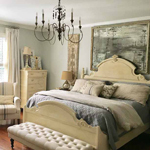 What a sweet thing to make….then to give away, a real treat! Yes a little light is sometimes all we NEED!!!!! 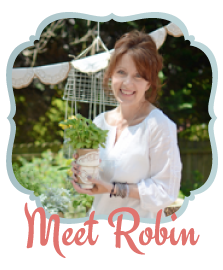 Robin, I think that the times when we can only see a small bit of light on the path before us are meant to be the times when we allow ourselves to be small and God to be BIG. We so often walk and live in ways that has that equation flipped. I know God is BIG in your heart and life, now let Him be BIG in your waiting. 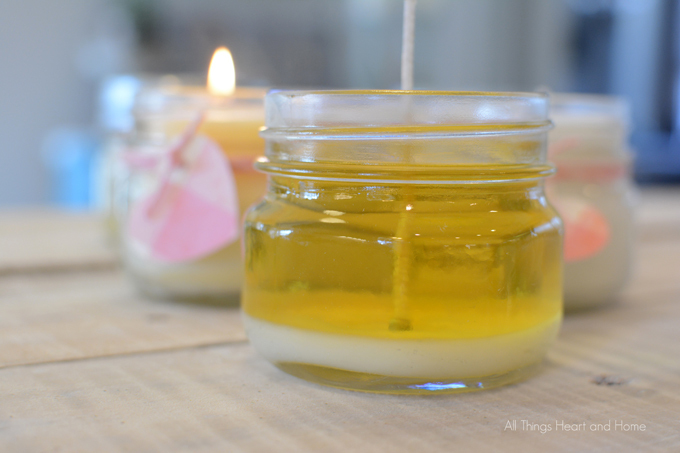 Robin, thank you for sharing how to make these lovely candles! I am definitely going to be making some soon! You are wise concerning light only enough for the next step. I am sure the Lord is developing new growth that most assuredly will become a fruitful harvest one day! Continued prayers for you and your family. 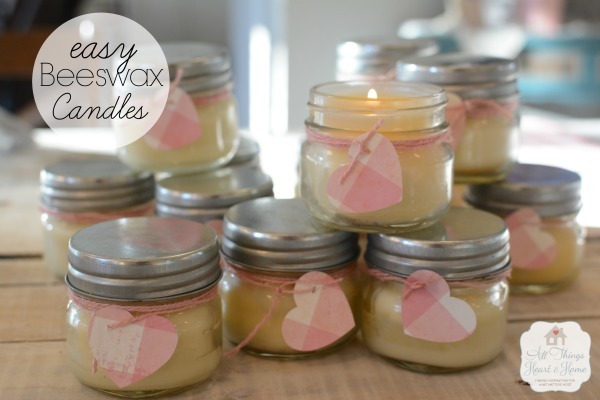 I have always enjoyed making soy candles, but this looks like a good alternative that I should to try. I love anything about a bee, and you sold me when you talked about the creamy consistency. 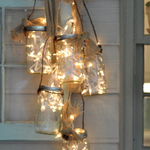 They are pretty in those simple jars….I think I’ll follow those links you provided and try my hand at this project. Thanks for sharing. You. Are. The. Most. Creative. Person. I. Know. Your intro———-brilliant, just brilliant. And then there’s the candles. 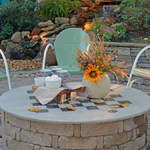 Robin, Thank you so much for coming over and linking up to the party. 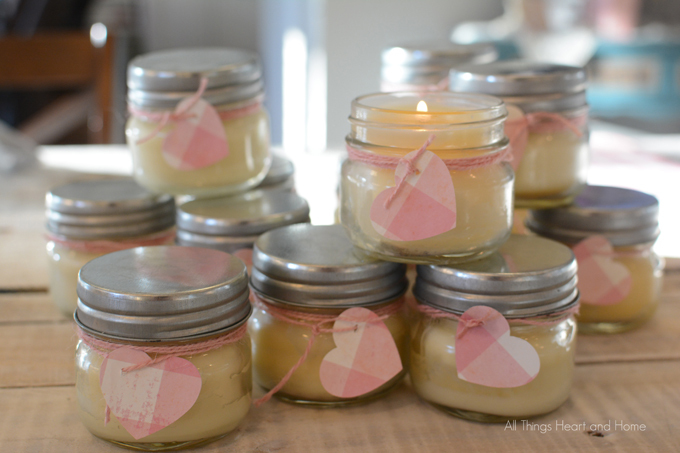 These are so adorable and I’ve never made candles so bravo to you!! These are awesome and I will share them on Facebook too!! 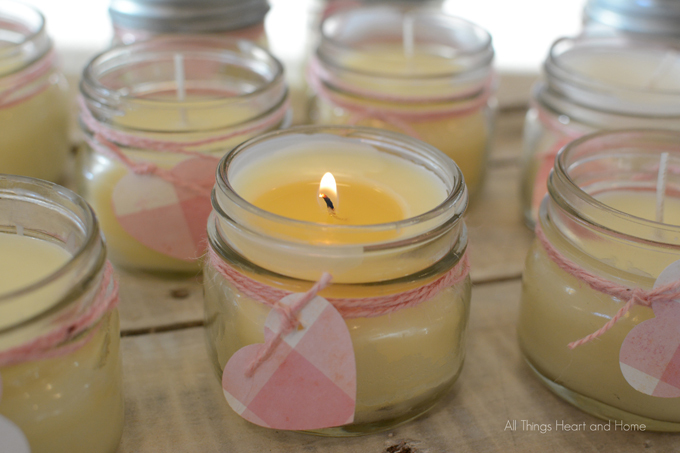 Such sweet looking candles and I can image they smell heavenly! 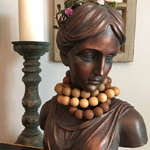 Thanks for sharing your post at Something To Talk About Link Party! Sooooo pretty! 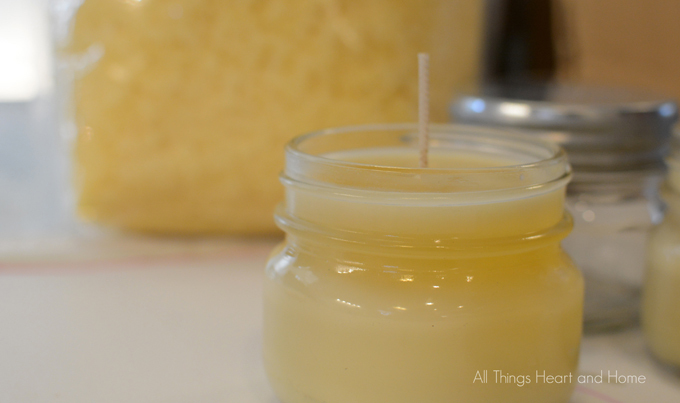 How many candles did the 16 oz package of beeswax make? 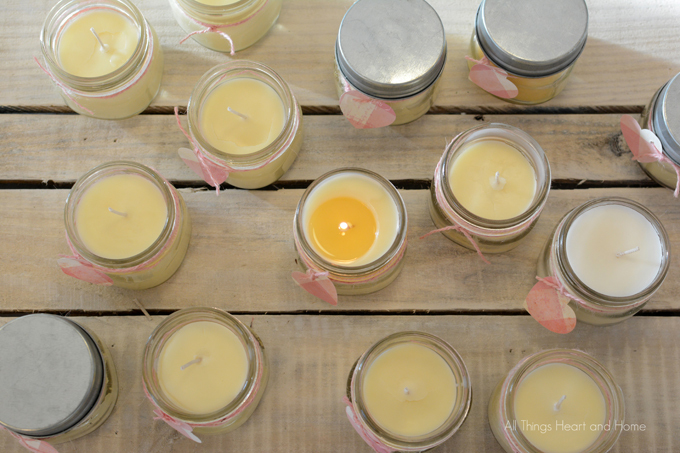 Pat I have LOADS of Beeswax left and I made 16 small candle jars… I could easily make 16 more!